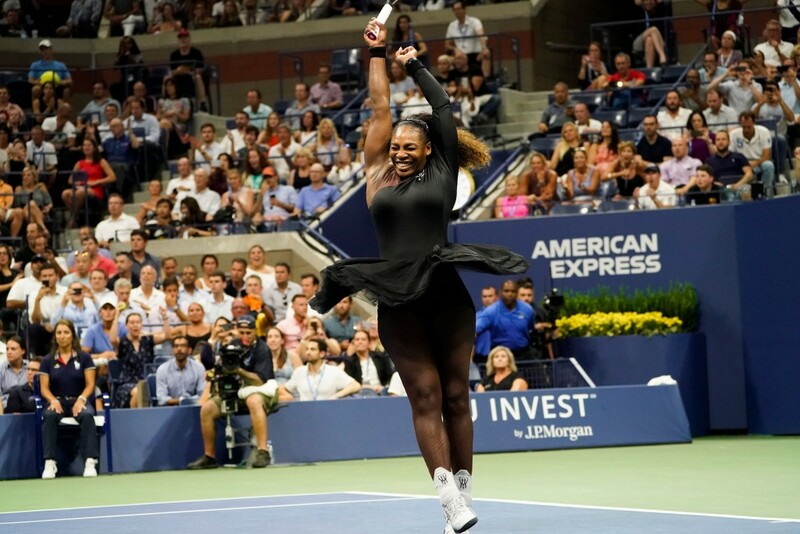 Just a few moments after she won her quarter-final against Karolina Pliskova on Tuesday, Serena Williams reminded the US Open crowd how she has had a “rough couple of semis” on Arthur Ashe stadium, which is why she’s looking no further than her next opponent. “Rough” is an accurate description. Williams’ record at the US Open is quite remarkable. She has now made nine semi-finals in her last nine appearances at the tournament (didn’t participate in 2010 and 2017). She is a six-time champion in New York and is 94-11 win-loss here. She’s the only player to ever contest 100 matches on Arthur Ashe stadium – the event’s iconic centre court – and has only lost before the quarter-finals three times since her tournament debut 20 years ago. Still, Williams knows that her last two trips to the US Open, prior to this fortnight, have ended in heartbreak. In 2015, she was going for the calendar-year Grand Slam in New York, looking to become the first player to pull of that feat since Steffi Graf in 1988. Williams had won the previous four majors and her fifth in a row would have seen her equal Graf’s historic accomplishment. 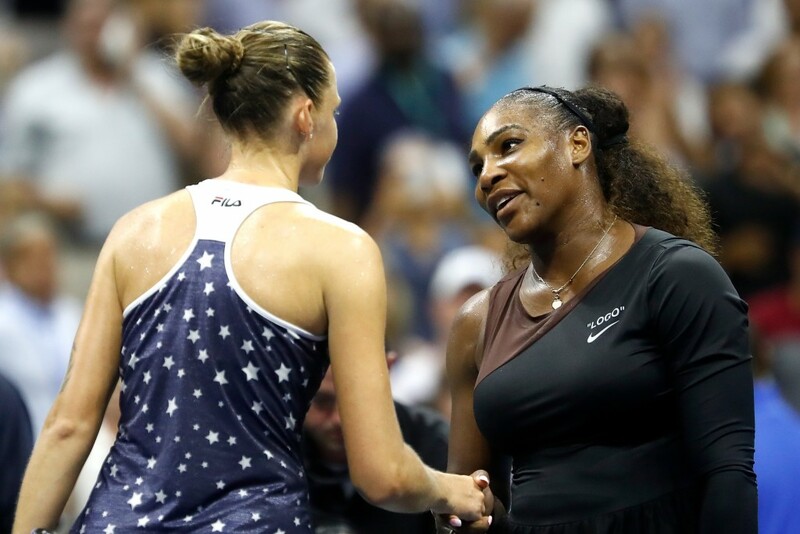 The heavy favourite for the US Open crowd that year, Williams was stunned by Italian Roberta Vinci in the semi-finals and wouldn’t play another match for the rest of the season. The following year, Williams again lost in the semis, this time to Pliskova. The American made sure that wouldn’t be the case in their quarter-final on Tuesday though. She avoided going a double-break down in the opening set, and fought back to defeat Pliskova 6-4, 6-3 and set up a last-four meeting with Latvian No. 19 seed Anastasija Sevastova. It gave Williams her 14th consecutive Grand Slam quarter-final victory. She confidently served out the match by hitting three aces and an overhead smash. “It’s remarkable, she can count on it when she needs it the most,” said ESPN’s Mary Joe Fernandez of Williams’ serve. It’s hard to believe that just one year ago, Williams had just delivered her baby, Olympia, and was going through serious post-delivery complications. She’s now made back-to-back Slam semi-finals since she returned from her maternity leave, and is two match wins away from Margaret Court’s all-time record of 24 majors. “I’d been a couple steps away at the last Grand Slam, so I’m definitely not ahead of myself,” said Williams, who lost the Wimbledon final to Angelique Kerber in July. After a rocky, error-strewn start against Pliskova on Tuesday, Williams raised her level, producing an all-around clutch performance. Her fluid movement particularly stood out, along with her serving. “I feel like that’s one thing I really worked on was my moving because it was a little suspect right after my return. I know that I’m fast when I want to be. I can get any ball that I want to, if I want to. I still feel that way,” said Williams. Standing between her and the final is Sevastova, who has her own stunning comeback story, having retired from the sport in 2013, aged 23, and returned a couple of years later. She’s the first Latvian woman to reach the US Open semis and is braced for a tough first encounter with Williams. Pliskova believes Williams is closer to the title than anyone else though. “For sure [she can win the title], because she won it before. I felt like she was playing pretty good actually the beginning, but maybe she was a little bit nervous. I don’t know. Just not play the best in the beginning. I know she can be off, she can do mistakes. She can also quickly be back in the match with couple games or couple shots. She can hit unbelievable shots. She can hit three aces in a game easily,” said the Czech, who was the last remaining top-10 seed in the draw. Juan Martin del Potro came through a tight battle with top American John Isner 6-7(5), 6-3, 7-6(4), 6-2 in sweltering conditions on Tuesday to reach the semi-finals of the US Open. The 2009 champion fought off Isner in a 3hr 31min showdown and joked after the match about how tough it was playing through the heat. Both players went off-court for a 10-minute break after the third set, since the extreme heat policy was in effect, and Del Potro was asked during his on-court interview what he did during that time. “I took a shower, re-taped my ankles, and I didn’t want to come out again,” the world No. 3 said with a laugh. He added during his press conference: “I think I played very solid this game. In particular I made good returns every service games. I had a lot of chances to break. I did couple of times during the game. I think I play on a smart game today. I saw John a little bit tired also. That’s give me a little bit more energy to keep trying. Isner, who now trails Del Potro 4-8 head-to-head, explained what makes Del Potro such a tough opponent to face. “He’s so good, and especially when he gets control of the point, of course on his forehand side, he doesn’t miss that shot very often, if at all,” said Isner. 2 – consecutive US Open semis for Del Potro. 3 – career US Open semi-finals reached by Del Potro (2009, 2017-18). 4 – wrist surgeries undergone by Del Potro (3 on his left one, 1 on his right). 6 – Grand Slam semi-finals made by Del Potro throughout his career (FO 2009, 2018; Wimbledon 2013; US 2009, 2017-18). 8 – Del Potro faced a mere eight break points through his five matches played so far this US Open. Saved three and dropped serve five times. 9 – victories for Del Potro over world No. 1s (lost 13), the most wins among all players who have never been ranked No. 1 themselves. He could face world No. 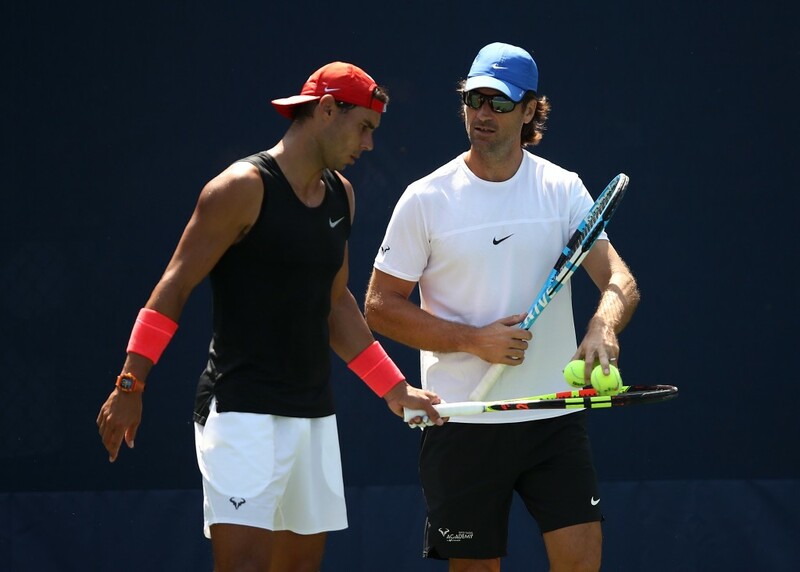 1 Rafael Nadal in Friday’s semi-finals. 12hr 16min – Time spent by Del Potro on court en route to the US Open semis. 34 – wins against just eight losses for Del Potro at the US Open. 42 – match wins for Del Potro in 2018, against 10 losses. He’s inside the top four on the match win leaders list for the season. 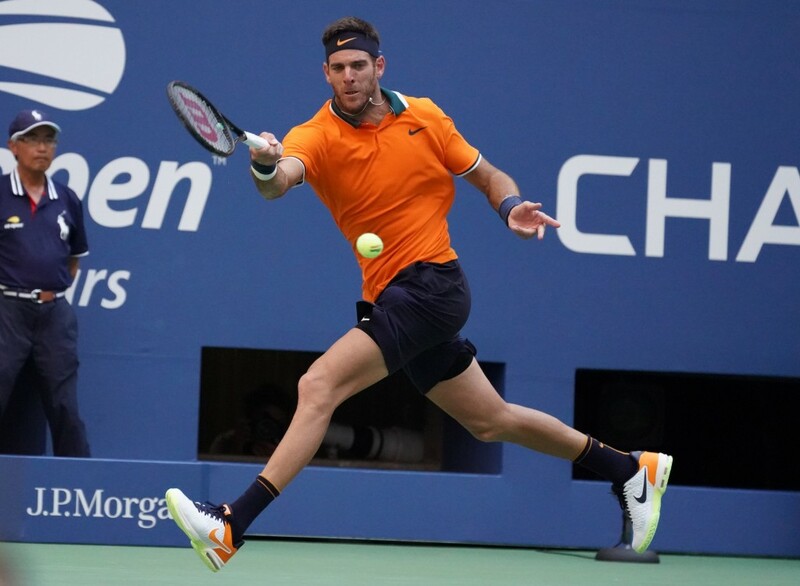 66 – aces struck by Del Potro this US Open, third-most of all players entered in the main draw (behind Isner and Raonic), and most among players remaining in the tournament. 70% – Del Potro’s first-serve percentage this tournament, the highest among all players in the main draw. 71% – Del Potro’s success rate on net points this US Open (60/84). 83% – Del Potro’s winning percentage of points on his first serve, tied for second highest among players who have contested more than two main draw matches. 189 – winners struck by Del Potro this US Open, against 104 unforced errors.